View all your class grades & keep track of your GPA anytime, anywhere. Simply log in to Schoolrunner at any time to get an up‑to‑date view of your grades, attendance, merits, demerits and (hopefully no) detentions! Use your information to help you know where you stand and take the steps you need to achieve more. Schoolrunner can help you on your road to success. Take control & start the conversation. Keeping track of your grades & progress can be a lot of work. 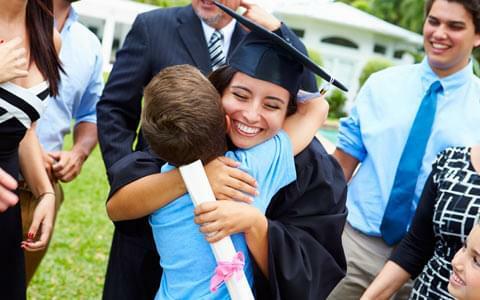 Talk to your parents and teachers and let them know you're ready to own your success. 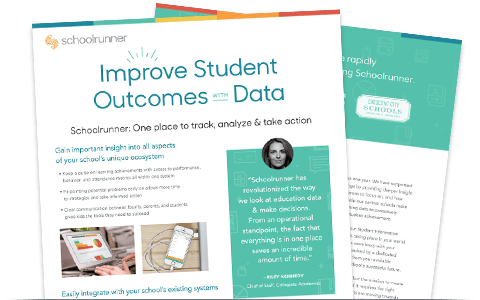 Share this handout with your parents or teachers today and see what Schoolrunner can do for you and your school. Schoolrunner supports your entire school community. Optimize your classroom with access to teacher-specific tips, tricks, strategies & resources. Foster student growth & achievement. Improve your schools with the power of data. Be a part of your child's educational community. Learn how to help your student progress & achieve. Continue your education with white papers, interviews, case studies & more. Sign up for our monthly newsletter, the Data Digest! Not you? Sign yourself up!